Star Wars: The Force Awakens passed $900 million mark at domestic box office this weekend, the only movie to break that mark in history. Almost immediately thereafter, the film crossed the $2 billion global box office threshold. It joins elite company in that category, only the third film to do so after Avatar and Titanic, which did so only after a threatrical re-release. 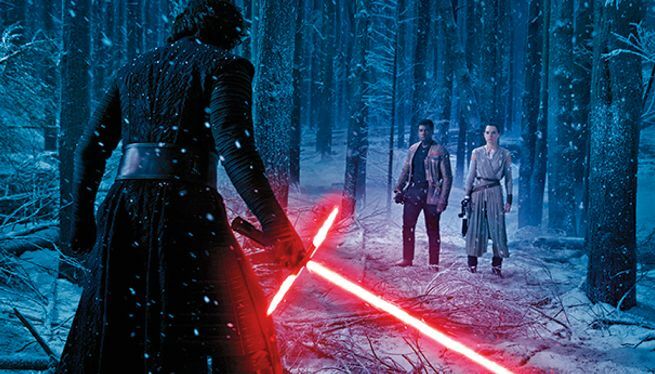 The Force Awakens is now the owner of over thirty box office records, including preview night, opening day, single day, first second and third weekend, Friday, Sunday, Monday, Tuesday, opening week, fastest to 100, 200, 300, 400, 500 million dollars, fastest to one billion dollars globally, and the highest grossing film of all time in the US and UK, amongst many more. Next up for Star Wars is Rogue One: A Star Wars Story on December 16, 2016, followed by Star Wars: Episode VIII on December 15, 2017. Star Wars Rebels also currently airs on Disney XD.